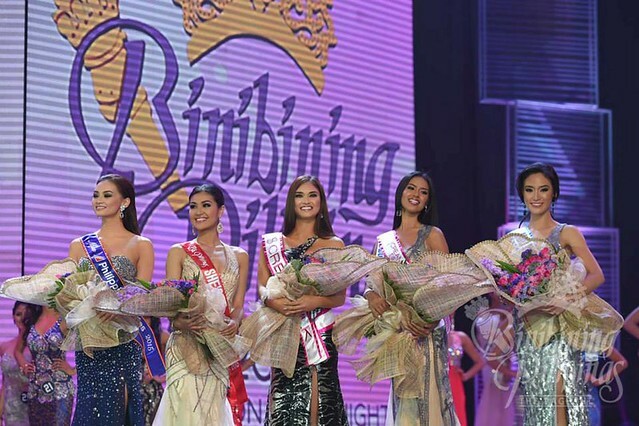 OUR NEW BINIBINING PILIPINAS QUEENS - I Blog, Therefore I Am. I only use my TV for three things: disaster-monitoring, Smart Gilas games, and beauty pageants! It came handy this evening because I wasn't able to watch live The Binibining Pilipinas 2015 Coronation Night at Smart Araneta Coliseum. So here I am blogging my thoughts in between commercial breaks. Congratulations to Miss Universe Philippines 2015 Pia Alonzo Wurtzbach, Binibining Pilipinas International 2015 Janicel Lubina, Binibining Pilipinas Intercontinental 2015 Christi Lynn McGarry, Binibining Pilipinas Supranational 2015 Rogelie Catacutan, and Binibining Pilipinas Tourism 2015 Ann Lorraine Colis! Pia Wurtzbach finally nailed it and was crowned as the new Miss Universe Philippines. I've been rooting for Pia since 2013 so I am very happy for her win. I was actually a bit worried for her because she was drown out by some girls at the Coronation Night. She did not ace in all the segments but her gorgeous face, nice styling, poise, and her years of beauty pageant training/expertise prevailed. Much deserved win I must say! Janicel Lubina deserves the Binibining Pilipinas International crown. I would've wanted her to be a runner-up this year for greater Miss Universe Philippines glory next year but her performance last night is too great and cannot be ignored...so a crown it is...even if it's not THE crown! Janicel's 'Cinderella' story will surely make waves in Japan at the Miss International 2015 competition. The runners-up this year are Hannah Sison and Kim Suiza. I will have to take back what I said a blog ago for these "consolation accolades". I usually view the runners-up position as training grounds for future queens. But this year it will unfortunately be just that --- a consolation prize. Hannah and Kim are both 26 years old and will no longer be eligible to join next year so this is their last chance for a crown. 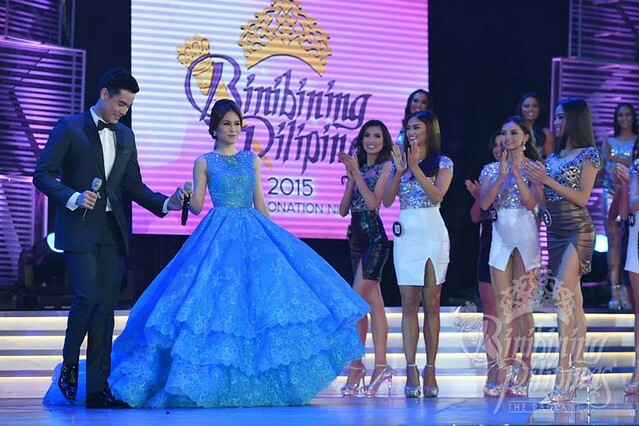 Toni Gonzaga's Michael Cinco blue ballgown is very overwhelming. Cinderella, much? Plus - Michael Cinco ballgowns are becoming too usual and common lately. I am also not so sure about Toni's hosting tonight. She's a good host but she went really overboard during the Q&A portion ("Chandelier, Chandelier?"). I love Venus Raj's black and white gown on the first segment and Ara Arida'slast gown. Speaking of Ara - she really needs more practice in hosting. Still pilit after all these years. She got a lot of flak on Twitter BUT she's a true sport. Check her tweet reply below! Notable Binibining Pilipinas judges for this year are Kiefer Ravena, Vice Ganda, Sarah Meier, Congresswoman Leni Robredo, and Secretary Leila De Lima (who looks very different without her glasses). I love her questions as well. Winwyn's very nice and elegant National Costume won as expected! Janicel Lubina, Christi Lynn McGarry, Mae Liezel Ramos, Hannan Ruth Sison, Teresita Ssen Marquez, Kimverlyn Suiza, Rogelie Catacutan, Alaiza Flor Malinao, and Ann Lorraine Colis. I knew that Janicel Lubina will win the Best in Swimsuit the minute she came out! What a body and such a bombshell! Those legs will go places. I kinda feel bad for Pia's swimsuit round since it's very obvious that she's not very fit and toned compared to previous years. Janicel won in the Best in Evening Gown as well. I don't like her gown too much but she carried it elegantly and gracefully. I am anti-black gowns when it comes to pageants but Kim Suiza's gown is my favorite among all the gowns tonight. Rogelie's simple red gown with natural waist is also beautiful. Christi's gown made her taller than she already is; and both Alaiza and Winwyn's gowns were fitted to perfection. I am not super sold on the designs of both gowns but it fits them very well. Janicel's win in both the Swimsuit and Long Gown awards speaks volume. Winning any of these two awards usually guarantees a crown like in the previous years - and she won both! MJ and Bianca won it last year, and Ara and Mutya won it in 2013. Most of the Special Awards did not go to the crowned queens this year. Only Pia and Janicel received special awards on top of their crowns. 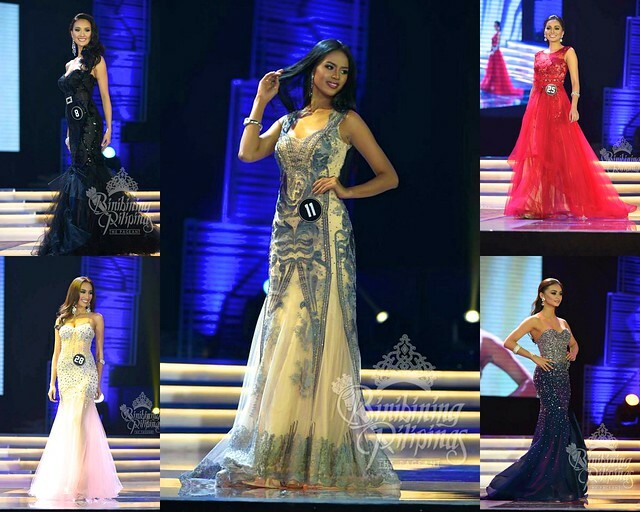 Here are the Top 15 of Binibining Pilipinas 2015 in order of the way they were called. I only got 10 out of my Top 15 prediction. The 5 whom I missed were off my radar. I am also surprised that Nancy Leonard did not make it. The best Q&A for me will have to go to Kim, Hannah, Winwyn, Pia, Christi, and Anja. They are also the girls who answered eloquently and confidently There are no "funny/comedic answers" this year but there is still a lot peace-unity-motherhood-statements. Toni's adlibs and attempts on being witty bothered me more than the girls' answers. I can't help but tweet! So there you have it! Another night of Binibining Pilipinas for us. Aside from Hannah & Winwyn's snubs, there's less controversy this year compared to last year. I am really sorry for Hannah's non-win but I hope that Winwyn will rejoin again together with Alaiza Malinao and Kylie Verzosa. Goodluck to our Queens and to their respective competitions abroad! Until the next pageant!